3.27.12 @ 12:20pm – You all are awesome! Since posting this just 5 hours ago, donations from 5 more states and one country (Great Britain) have come in! You can view the current pin board by following this link. Thank you, thank you, thank you! I’m now 40 days away from the Kansas City March for Babies walk, and still need donations from 15 states to hit my goal of collecting donations from “half the country”! 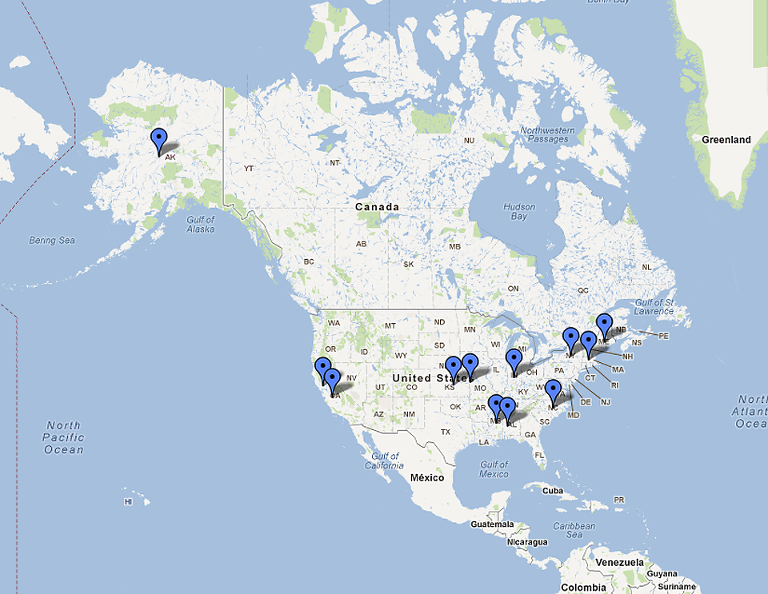 Below you’ll find a map with pins of the donation locations, and a list of the states I’ve heard from so far. Every little bit helps, with the important mission of the March of Dimes!